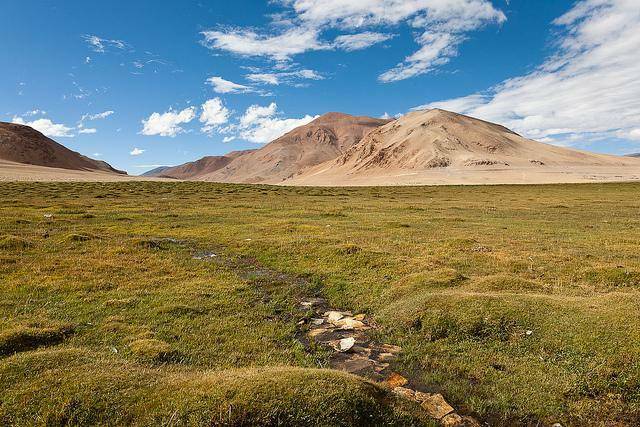 Tso kar Lake is located nearly 150 km southeast of Leh and can be visited enroute to Tso Moriri or as a stopover on the Manali - Leh route. Tso kar Lake is about 45 km before Tsomoriri Lake and is situated at a height of 4,485 m and it is also known as 'White Lake' because of the salt deposited around it. Tso Kar Lake is popular among the bird watchers as it is home to many beautiful birds like black necked cranes and brahmni ducks. Kiangs, the largest of the wild asses can be easily spotted running around the grasslands surrounding the lake.